ABOUT THE SITE-The site is combination of Vaidic and Jain religion. It relates to birth place of Mahabir Tirthankar. It is about 40km further west of Jamui,Jamui is on Delhi-Kolkata main rail line. From there one has to take hired taxi or time bound mini buses to reach the site. 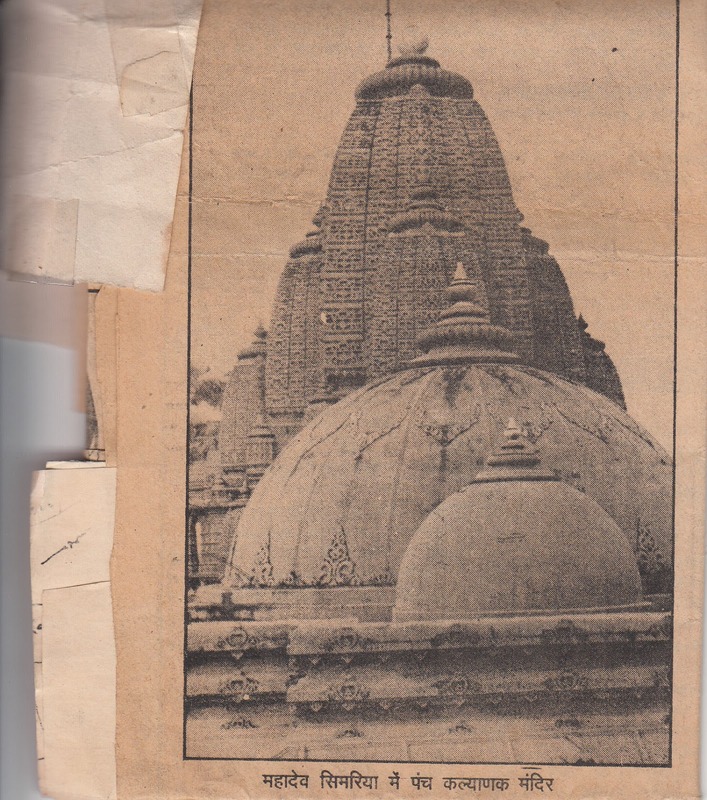 Direct roadway from Patna to jamui via Shekhura and vice versa also leads to the site Mahadeo Semaria where the Panch kalyanak temple is situated Tirthankar Mahabir swami spent his time , preached his followers,did his worship,and meditation after taking Gurudiksha. The temple is very old but gigantic and beautiful to look at from road side distance Peak height of the temple is >30’ from the ground levelAdded beauty is that it is encircled by water in a big lake like Jalmanir in Pawapuri. Free play by snakes and fishes in the pond adds another beauty to the the site Ful temple is made of red stones and cemented by redishgrey cement Broken statues were found which is expressed by door stoppers(chaukhat) of the temple.